As sequels go, Mary Poppins Returns is almost within a class of its own. Released 54 years after the original Mary Poppins came out in 1964, it is every bit a much for its predecessor, drawing more faithfully off the books by P. L. Travers while also hearkening back many of the visual, musical and dialogue touchstones that have made the first film such an enduring favourite. In this informative and beautifully-presented video essay, Flicks and the City catalogues a mountain of amazing things you will likely have missed in Mary Poppins Returns given it moves at such a joyously, colourfully manic pace. 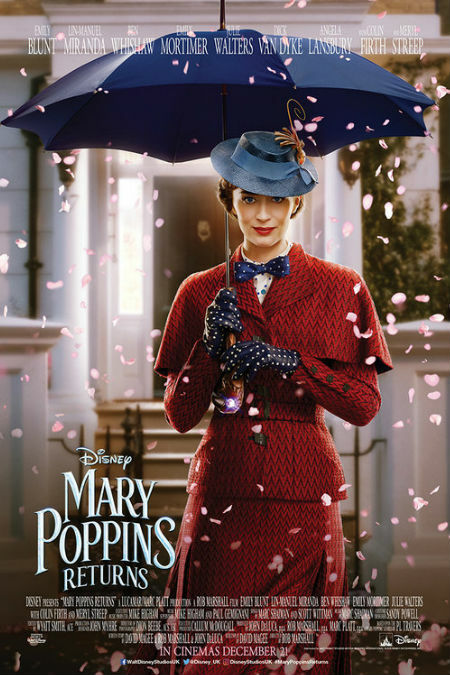 The insights are enchantingly entertaining, detailing everything from the way the sequel pays homage to characters in the first film including some Poppins-adoring animated penguins, links to other famous Disney films such as Bedknobs and Broomsticks, and the lengths director Rob Marshall went to make sure the cartoon sequences in Mary Poppins Returns recalled the predecessor’s while still being distinctively new and different. We may still not be a codfish and may giggle far too much but after watching how richly-detailed Mary Poppins Returns is, you won’t mind one bit.